A bedpan brings convenience to its user but who likes to clean it up after use? 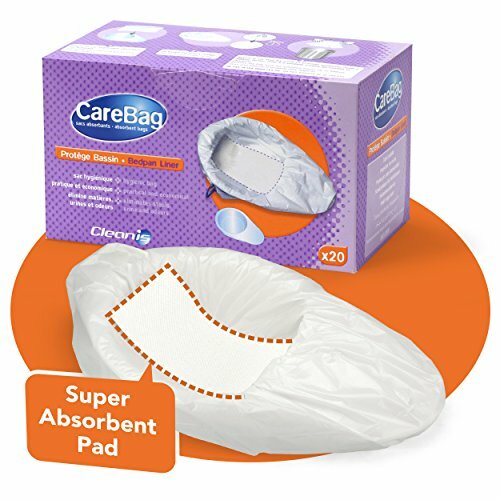 Rest assured, the CareBag Bedpan Liner will effectively collect and contain any body fluids and better yet: they will be turned into a gel! This is made possible thanks to the super absorbent pad provided inside each bag. When the patient is done performing body functions, the bag is to be sealed using the easy drawstring closure system and disposed of appropriately: Say goodbye to spillage, awful smell and hand cleaning of the bedpan! Unsurpassed Performance - Medical grade & leak resistant. Never clean a bedpan again! Super Absorbent Technology - Converts up to 16oz of body fluids into a gel. No more mess!